Today I have something so chick and girl-y to share with you all. Sizzle is another Picture Polish collaboration shade with Lisa from Cosmetic Sanctuary. It released with another collaboration shades few days earlier. When I saw it on picture polish's facebook page, I knew I have to have it. I loved the subtle glitters in it and the colour is just so pretty. Click on read more to see swatches. Sizzle is hot pink crelly with subtle silver scattered holographic glitters. This polish dries semi-matte and need 2 coats for coverage. I used two coats for following pictures and a coat of hk girl top coat. 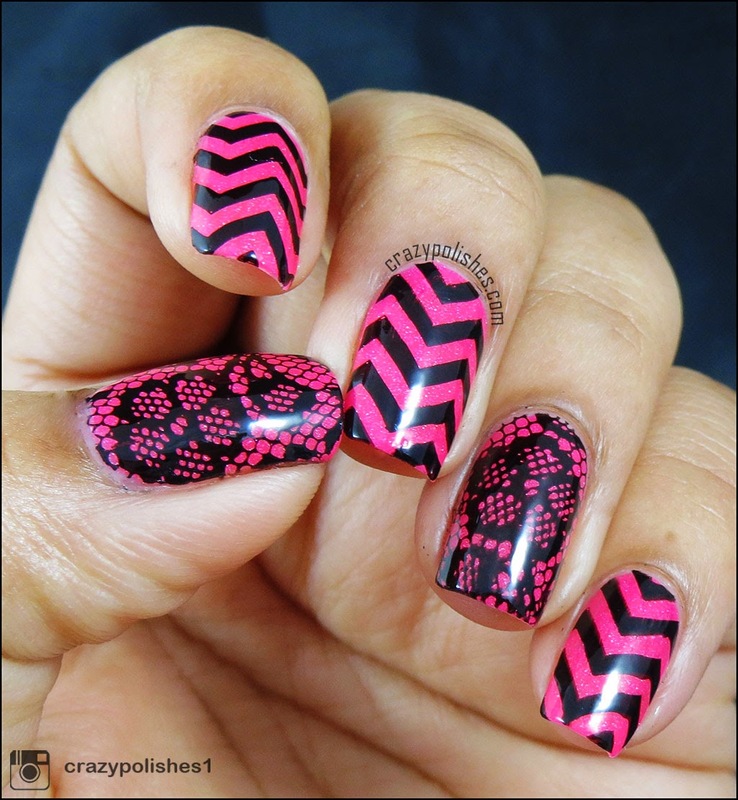 For the nail art, I used images from Moyou fashionista collection 04(chevron image) and Loja bbf plate no. 29(accent nails). Overall, I love this polish and with spring and summer on their way here in Australia, this will be perfect polish to wear. Sizzle is available on Picture Polish website. You can check out their network to find one near you.